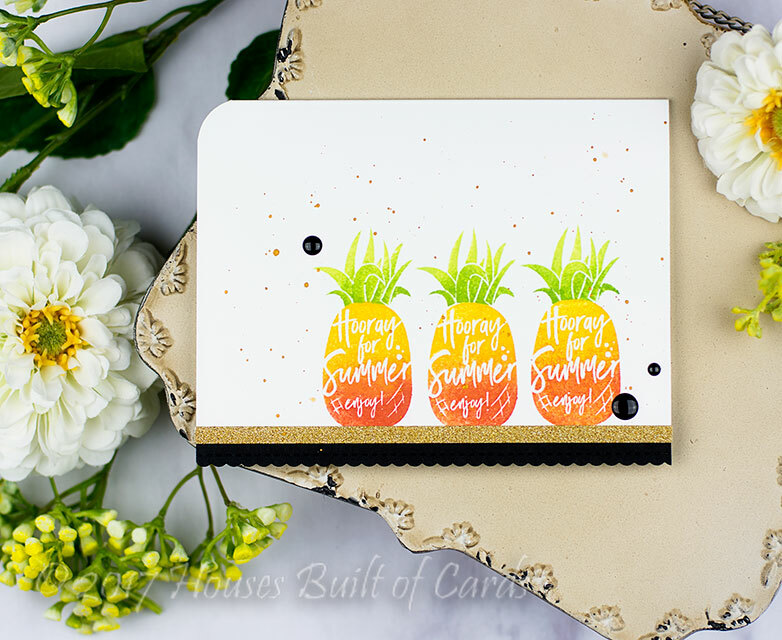 Houses Built of Cards: Pineapple Summer! Good morning! 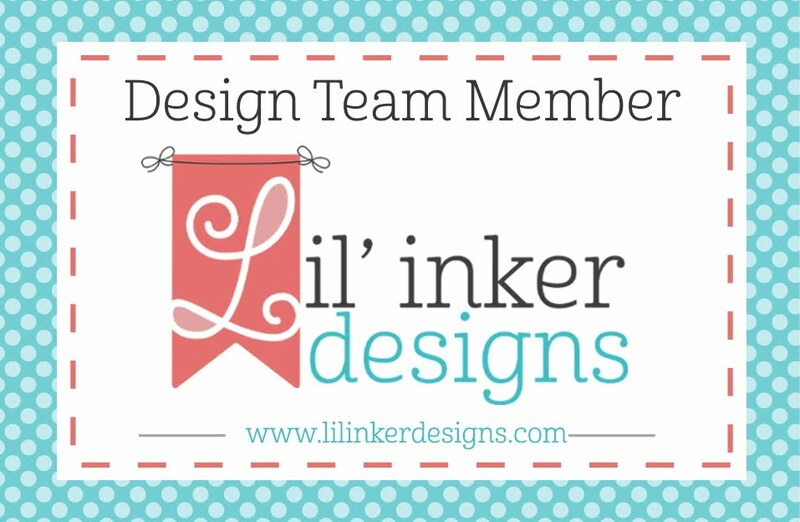 I'm dropping by this morning with anther card using some of the fabulous NEW Simon Says Stamp One of a Kind Release! 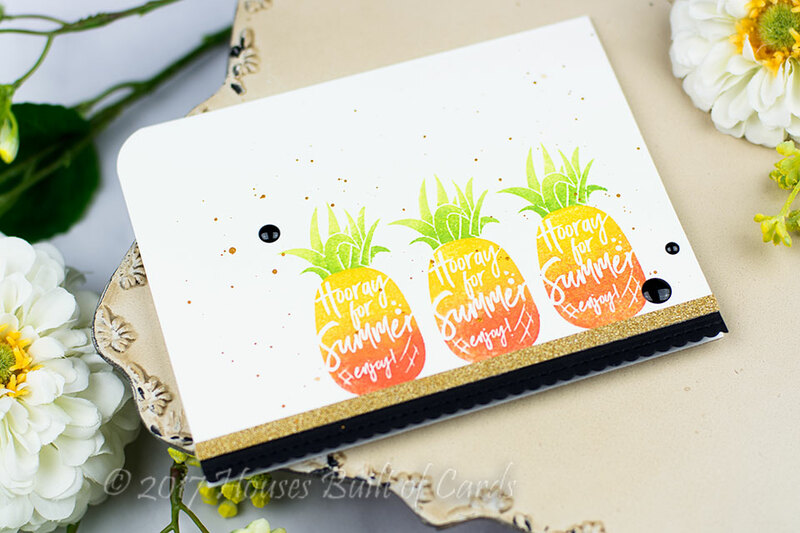 Today I used the fun Dancing Fruits Stamp Set - I just LOVE these pineapples! I used a few different colors of SSS inks to create an ombre effect on these pineapples. 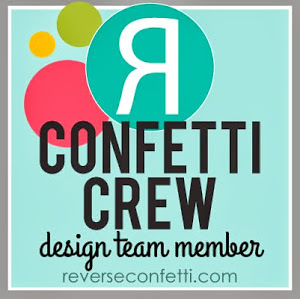 So easy and fun and adds so much depth to them! I trimmed a bit off the bottom of the card and backed it with a strip of black cardstock cut with a scallop border die, then added some gold washi tape on the border. Finished off with a splattering of gold watercolors and a few enamel dots - and rounded off one corner!